I’ve been making this lovely recipe for Christmas Day lunch for around the last 30 years. I know that sounds a bit crazy, but all the family love this simple but very tasty recipe. We always start our Christmas lunch with this and little platters of smoked salmon, prawns, crevettes with some of my lovely mini-loaves and toasted slices of brioche, served with a slab of beautiful Beurre d’Isigny. It is not always easy to get hold of fresh chicken livers, so in all likelihood you will need to buy frozen from your local butcher or supermarket. Don’t worry about this, as the end product turns out nearly just as good. The first thing you need to do is de-frost your chicken livers, preferably in the fridge overnight. Once de-frosted, take them out of the packaging and thoroughly drain off any surplus liquid. Trim the livers, place into a suitable container, cover and place to one side. Pop the butter into a small heavy based saucepan and place over a very low heat on your smallest hob and allow to melt slowly until the solids and butter oil separate. The solids will sink to the bottom of the pan. Strain or poor off the clarified butter into a jug and discard the milky solids that remain in the bottom of the pan. Set the clarified butter to one side. 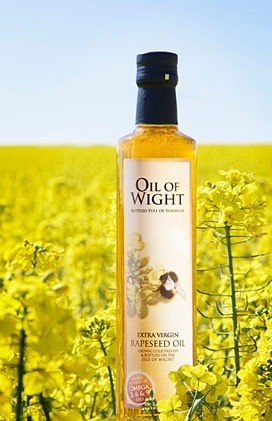 Gently heat a little rapeseed oil in a small, heavy based frying pan over a medium-low heat, add the shallots and garlic, cover and gently sweat off for around 5 minutes until soft and translucent. Remove from the pan into a small container and put to one side. Place a heavy based frying pan over a medium-high heat, add a little of the clarified butter and add the drained chicken livers. Cook for a couple of minutes on either side until lightly caramelised, but with the inside remaining a little on the ‘pink’. You may need to fry off the livers in two lots, depending on the size of your frying pan. 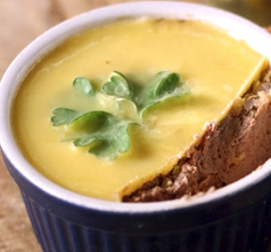 Avoid overcooking, as your pâté will finish up rather ‘grainy’ and unpleasant to eat. 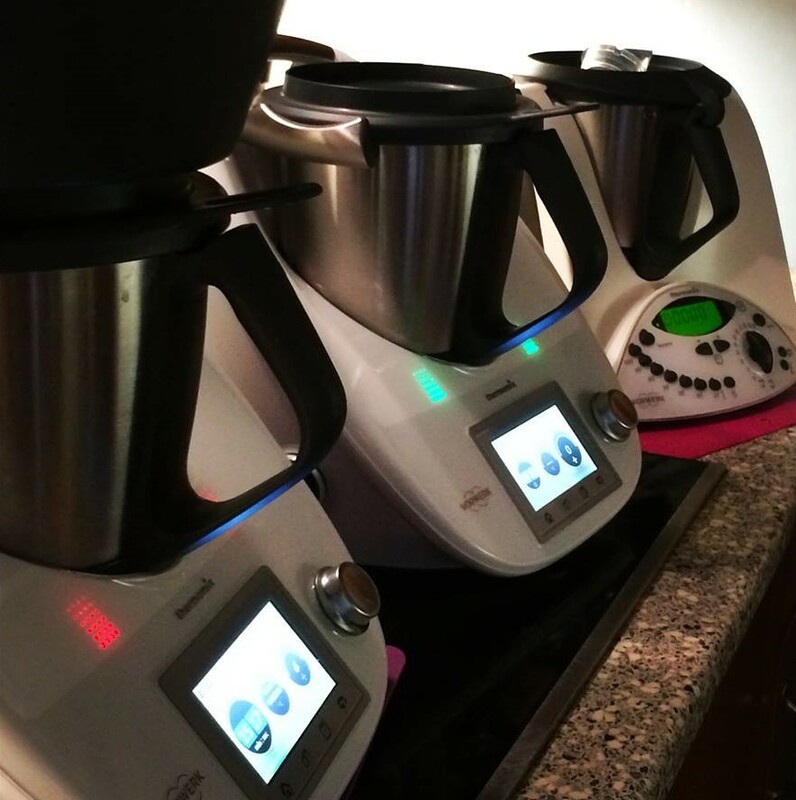 If cooking in two batches, once the second batch is cooked, return the first batch to the pan, heat through over a high heat, then pour over the brandy. Tilt the pan away from you and flambé (flame) until the alcohol cooks off. 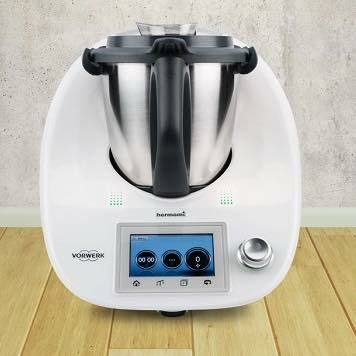 Simmer for a minute or two, then turn the livers out into your Thermomix bowl. Add the cooked shallots, garlic and thyme leaves, then blitz until you have a purée. With the measuring cup in place, gently pour 200g of the clarified butter into your TM lid, enabling the liquid butter to drizzle down into the bowl over the puréed livers. Now blitz until completely smooth, add the nutmeg and season to taste with the salt and black pepper. You may need to scrape down the inside of the bowl using a silicone spatula, then blitz again for a few seconds. Transfer the puréed livers into a large serving dish or individual ramekins, leaving around 5mm from the rim of the dish. Using the back of a suitable sized spoon, flatten off the surface. Pour over the remaining clarified butter to a depth of approx’ 2mm, ensuring that all the paté is covered with the liquid butter. Place the dish/dishes into your fridge and allow to chill for a few hours, preferably overnight. This dish always tastes great and although I have to admit that I have tried other recipes and tinkered with this one from time to time, I keep returning to my original recipe – my ‘Old School’ recipe. 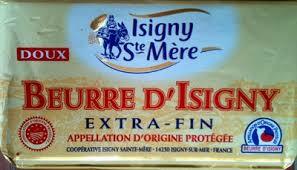 Place a slab of Beurre d’Isigny onto the middle of the table. When your guests are ready to sit down, pop some slices of brioche under the grill or into your toaster, the aroma is amazing and gets the old gastric juices flowing! Pile the toasted brioche onto a platter with place onto the table alongside the butter. If serving, using individual ramekins, serve on a side-plate with a suitable garnish. Serve with some lovely, crunchy Cornichons. 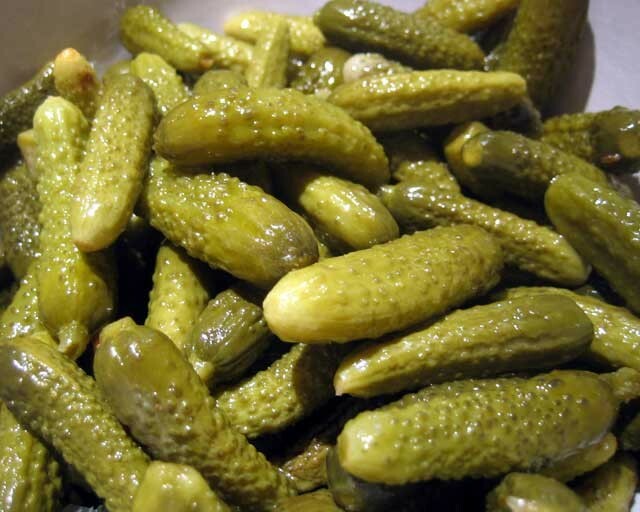 These are little French gherkins which are freely available in UK supermarkets. Much nicer than the typical gherkins that we produce in the UK.